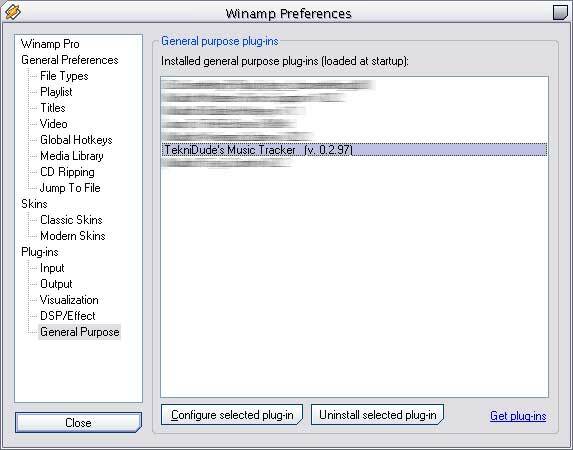 Once you install the plug-in, just start Winamp. A window will then popup, just enter your username and password into and start playing music. It should start updating about 30-45 seconds into the currently playing song. Once you see that the plug-in is working you can click the Hide button to make the window go away. If you are updating the plugin to a newer version then just install the program right over the older version. The installer will update the plugin, no need to uninstall. Make sure you are always using the latest version. Once new versions come out, the older ones may not report properly. Webmaster: Jason Volk © 2001 - 2004 TekniDude.com, All rights reserved.